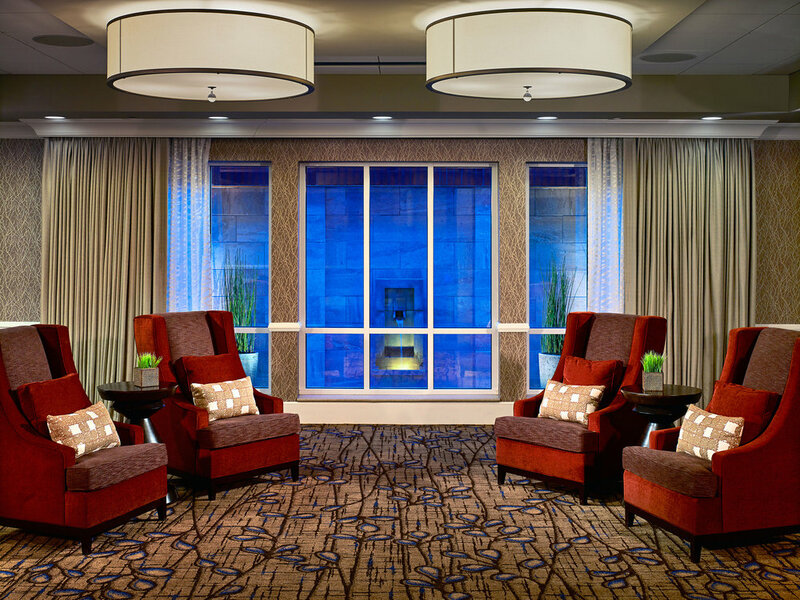 The Auburn University Hotel and Dixon Conference Center is a notable landmark for anyone traveling along South College Street through the Loveliest Village on the Plains. 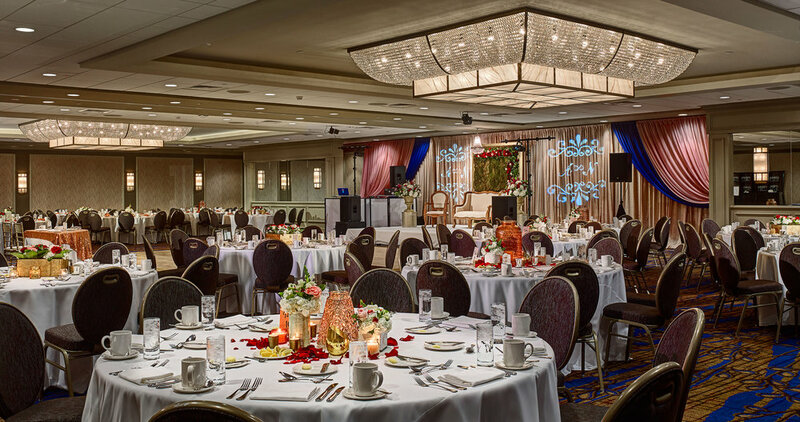 Its proximity to the university’s campus and the city’s quaint downtown make it an excellent venue for game day weekend festivities, celebratory occasions, conferences, and corporate events. Although the conference center had served the Auburn community well for years, the owner felt that it was time to implement a comprehensive, multi-phase facility upgrade, spanning over 20,000 square feet. 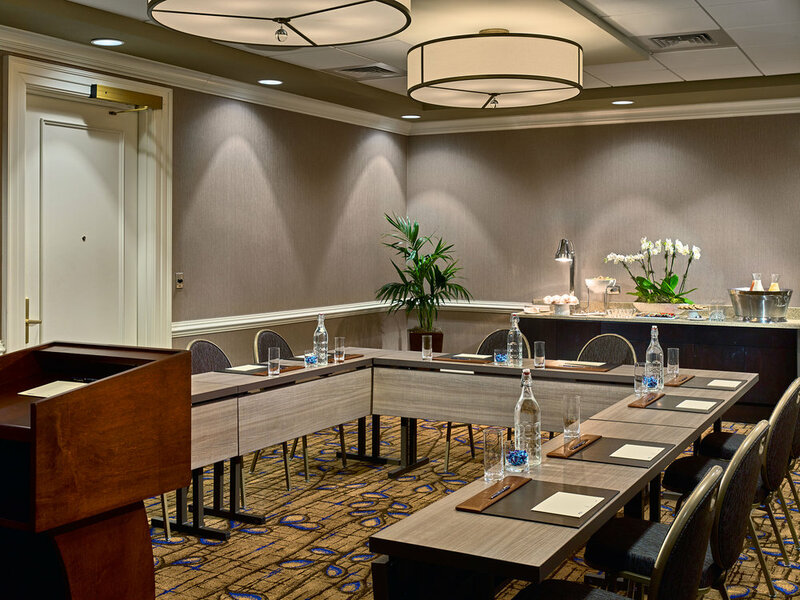 The renovation included significant improvements to both ballrooms, all four meeting rooms, conference center restrooms, and pre-function areas. 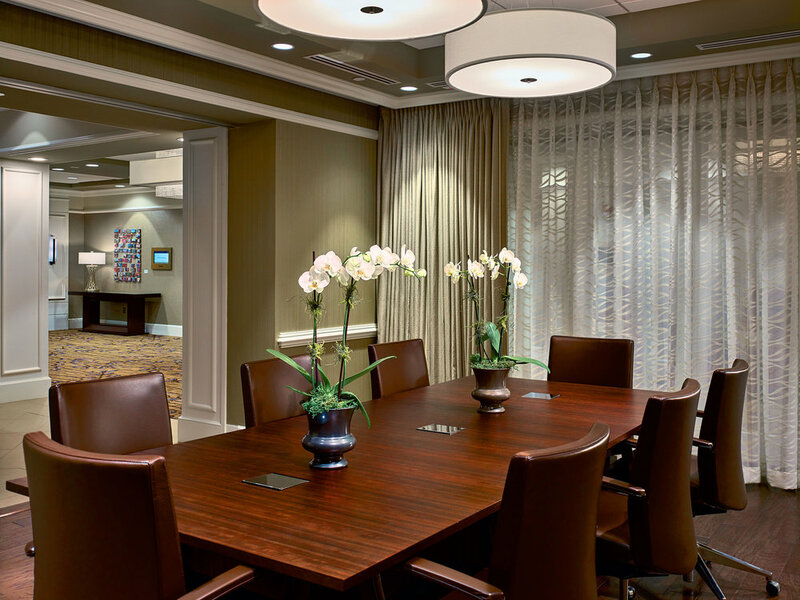 New programmatic elements included a new boardroom, new Governor’s Room and outdoor garden, and new ADA (accessible) restrooms. 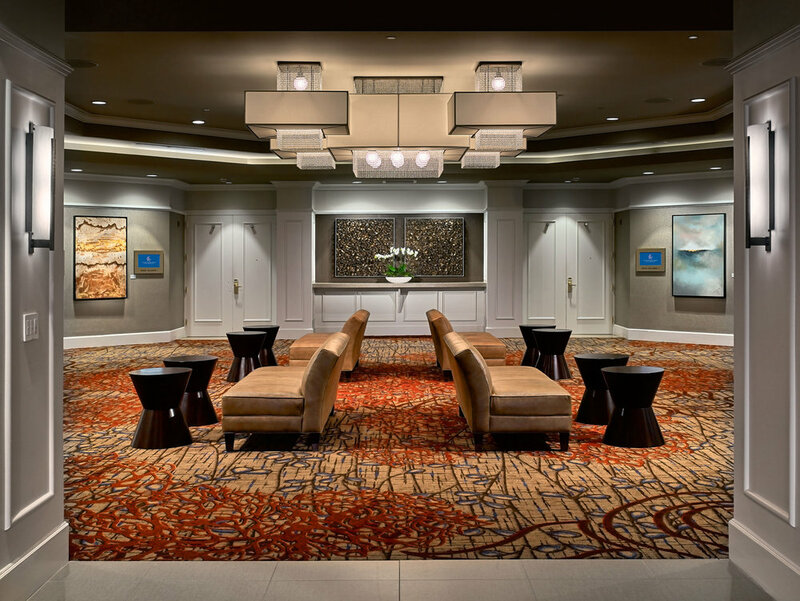 Refreshed finishes provided a new level of polish to the conference center, utilizing custom carpeting, new ceilings and custom lighting, and new furnishings. The pre-function areas feature a combination of new seating and stand-up drink ledges with power and USB receptacles, offering areas to relax or conduct business in between planned functions. Rounding out the forward leap of upgrades is a set of new digital signage—providing timely information to assist guests in event details and wayfinding between the different venue spaces.